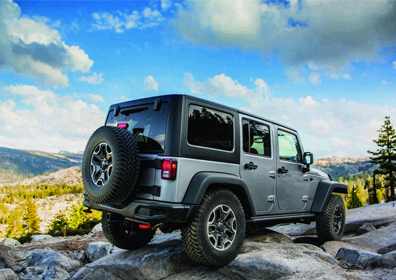 It’s that time again — this June the Jeep® brand took a road trip to Butler, PA for the Bantam Jeep Festival. The annual gathering of off-road enthusiasts brought nearly 20,000 people from 34 states, Canada and even the Netherlands, and 1,200 Jeep vehicles for a cruise along Main Street, then onto local trails and festival events. Among the most popular events this year was the Bantam Jeep Muddy 5k Race, which takes the off-roading spirit and turns it into a muddy footrace. Nearly 200 runners participated, trekking through tires, sliding under Jeep vehicles and pulling themselves up hills and through mud pits. 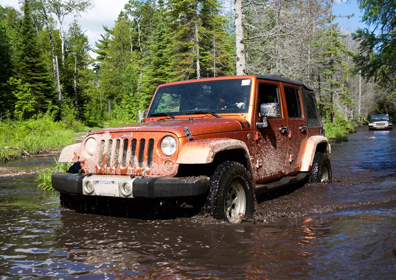 The 2015 Bantam Festival also featured guided off-road tours, the “great pig-out barbecue,” a Jeep History Exhibit, and the Show ‘n Shine Playground for kids to get involved. It wasn’t all fun and games, though. There was official business to attend to. 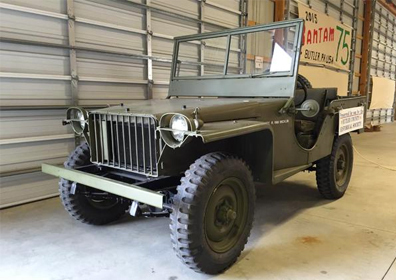 This year the Bantam Festival made an attempt to reclaim the previously held Guinness World Record™ for the largest number of Jeep vehicles in one place — unofficially over 2,400. In the record setting attempt, the Bantam Festival Parade saw every Jeep brand model year represented. An official wheel count should be tallied later this summer. Stay tuned to see if the Official Guinness World Record™ representatives verify Butler as the new record holder.